The Set Contains;Our new Geranium & Sweet Orange Scented Votive Candle will add some candle-lit cosiness. Hand-poured by skilled craftsmen in the South of England, with 100% natural plant wax and cotton wicks, with a 20 hours burn time and the finest ingredients, our special votive scented candles come in a clear vessel. 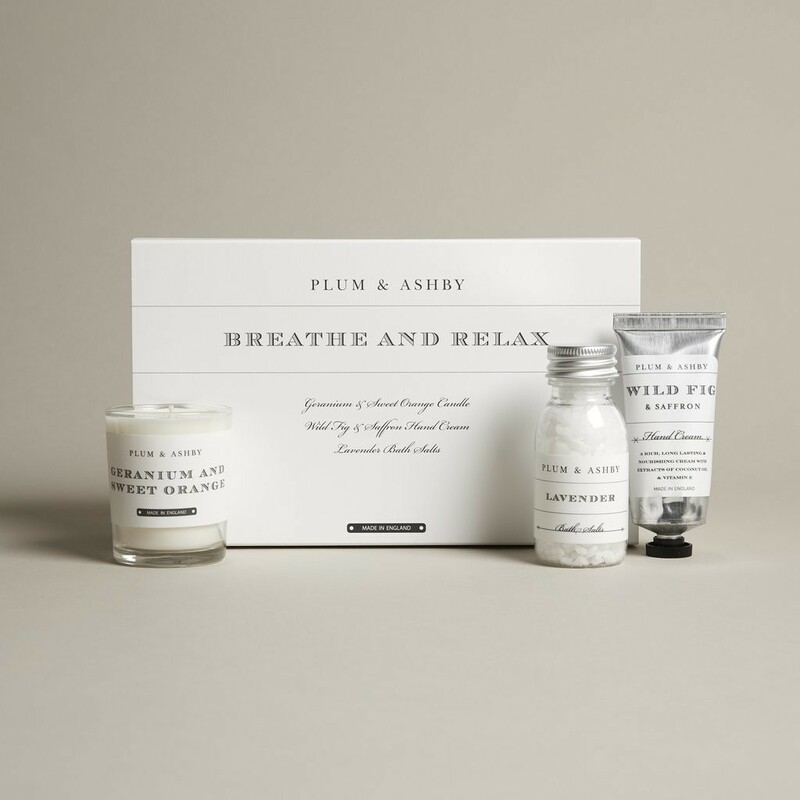 Infused with fragrant scents, our natural plant wax luxury candles are environmentally friendly, burn cleaner and longer and help to add an atmosphere to any room. Relax and unwind with our French Lavender Bath Salts, when sprinkled under running water, our salts release the full fragrance of French Lavender flowers to create a moisturising and relaxing bath. The sea salts help naturally cleanse the skin without drying and causing irritation..